Written by Fairhope native Natalie Green, now a citizen of Cincinnati who often thinks of home, a review of That Was Tomorrow with a personal slant. The year is 1921. A young teacher arrives in an improbable town of deepest southern Alabama. The young woman from Philadelphia is consumed with an idealistic educator's theories for a progressive school, where children are permitted to bloom in a non-traditional structure. The town is founded as an experiment on the somewhat socialistic economic theories of a leading thinker of the day. The teacher, an innocent born with a yearning for lasting depth and sincere joy in education, embraces the school and the town with an abiding delight. This is only the beginning of a succinct but rewarding novel that covers both the engaged, everyday lives of the town's citizens, and the underbelly of misunderstanding and suspicion that leads to such suspense as attempted assassination. 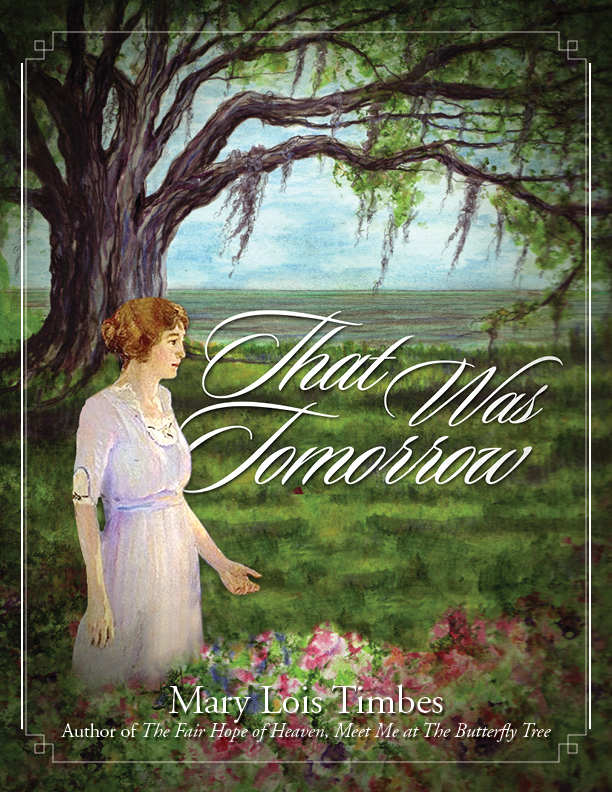 That Was Tomorrow, by author Mary Lois Timbes, celebrates a mecca for artists and artisans, poets and prose writers, free thinkers, forward-lookers, and families, for whom the town serves as a magnet. With splashes of romance and excitement set against the beautiful Mobile Bay and its high-cliff settlement on the Eastern Shore, That Was Tomorrow explores the roots of a unique and somewhat mystic small town with a population just as individualistic. Phantasmagorical as That Was Tomorrow may seem, author Mary Lois Timbes has set it in a real town (Fairhope, Alabama, founded on economist Henry George's Single Tax theory), and a real school (the School of Organic Education, founded by pioneer Marietta Johnson). Both George and Johnson were internationally known at the time for their non-conformist stances on taxes and education. This is what is so absorbing about the novel: its reality. Novelist Timbes grew up in the town and attended the school -- far later than the years covered by the book, but with exhaustive interviews of early residents, she grasps the wondrous atmosphere and the soul of a place out of time and out of memory. Her evocative novel touches the heart in many ways, not the least of which is its improbable fact. When you read That Was Tomorrow, you will find yourself wishing you could have experienced such an incredible time and place. Fairhope is still there; it remains as the final town in the U.S. dedicated to Henry George's vision. Today, it serves as a destination for every sort of person with an artistic bent, from retirees to young families. The school where the young fictional Amelia King taught is observing its 107th year as of this writing -- a clear example of an extraordinary educator's mission. This admixture of fact and fiction pays great tribute to the inhabitants of an unusual town, which has continued to thrive by the efforts of many, including those of the author's. I was shocked to hear that one of my oldest friends died a less than a week ago. Phil Brady and I had a date or two when we were in high school, and he was one of the good guys all his life. I would see him from time to time, usually when we had a mutual project, but I always liked him and somehow felt he would always be there. He had a big heart, a quick wit, and busied himself with the same kind of projects I did, so it was pretty easy to keep up with him. If he had been ill, and I surmise that he had, he didn't let on. A few months ago I emailed him when I learned of the death of an acquaintance I knew had been in his writer's group, and he responded right away. He had a good sense of the priorities of life, and he lived his life accordingly. When I had my first job at the Mobile Press Register, Phil was soon working on the copy desk. By then he was courting the beautiful Catherine, who would become his wife, and finishing college at Spring Hill. He was a strong Catholic, with a questing mind and a commitment to his church and to learning all he could about its history and the history of the world as well. 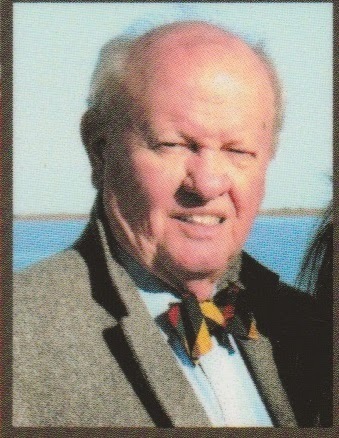 Like me, he had a career in public relations and journalism, and he retired to Fairhope just about the time I did. There was a period when I was embroiled in the survival of the Organic School, and, although he had not been a part of it before, he studied the situation and met with me on several occasions to offer support and insights. When he read the two books Marietta Johnson wrote, he said this memorable thing, "The difficulty in articulating this philosophy is that at first glance, what she writes sounds simple and basic. But when you think about it you realize how profound it is." The difficult part was inspiring people to think about it. He and I both wrote novels, interestingly, set in the year 1921. We did not confer on this, nor did either of us see this as more than a coincidence. But I think it shows something of a like mind. That year just seemed to exemplify a time when things were less complex, a safe place where we could explore conflicts beneath the surface of an imagined serenity. My book, That Was Tomorrow, dealt with Fairhope in its heyday, and his, The Clarke County Democrats, was about a minor league baseball team in Clarke County, Alabama. I was quite taken with Phil's book, even though my interest in baseball is limited. The Clarke County Democrats rightly places the game in a day when it was magical. I wrote a review of it on amazon, which I hope sells a few books for him still. I'm disappointed that he never finished his grand opus--a book of Civil War stories, history, and mythology. I argued with him that the world did not need another book about the Civil War, but I understood his fascination. I too grew up hearing the Southern whitewashed version of history, but I felt burdened by it rather than challenged to retell it. I wish he had lived to see it published. I would love to talk with him about it. He had wonderful stories. No, the picture is not of Fairhope. I still visit Fairhope every winter for a month or so, but I have lived in the Northeast since December of 2007 and now am quite happily at home here. First I relocated to Hoboken, and got very hip learning the local lore about Frank Sinatra and Chris Christie. Five years later my daughter persuaded me to move closer to her and I moved to New Paltz, NY, a fun and exciting town with a large branch of the State University and other points of interest. I love it, but the winter of 2013-14 was so brutal I was in Fairhope again for the month of February. When I returned it was still as cold as when I left, with snow and ice everywhere for a couple more months. I now own a snow shovel and a few encounters driving on ice (and the loss of a car as a result) has prompted me to supply my vehicle with snow tires. 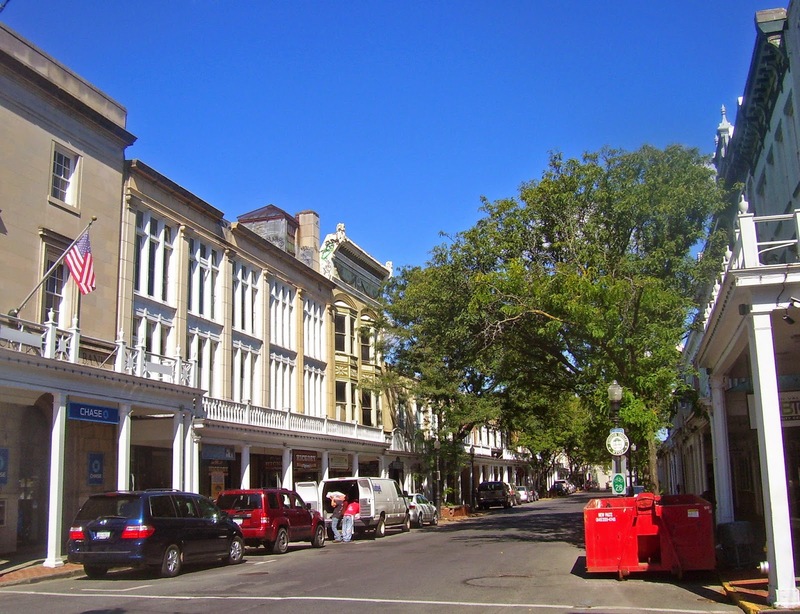 But I love living here, and by the end of June I'll be in my own Queen Anne house in Kingston, the town where my daughter lives. I've started a blog--actually, I've had three other blogs since leaving Fairhope. For my Hoboken adventures you can peruse "Finding Myself in Hoboken," and then when I moved to New Paltz I recorded my experiences on "New Life, New Paltz" and now I've simply renamed the last one "New Life, Old House." 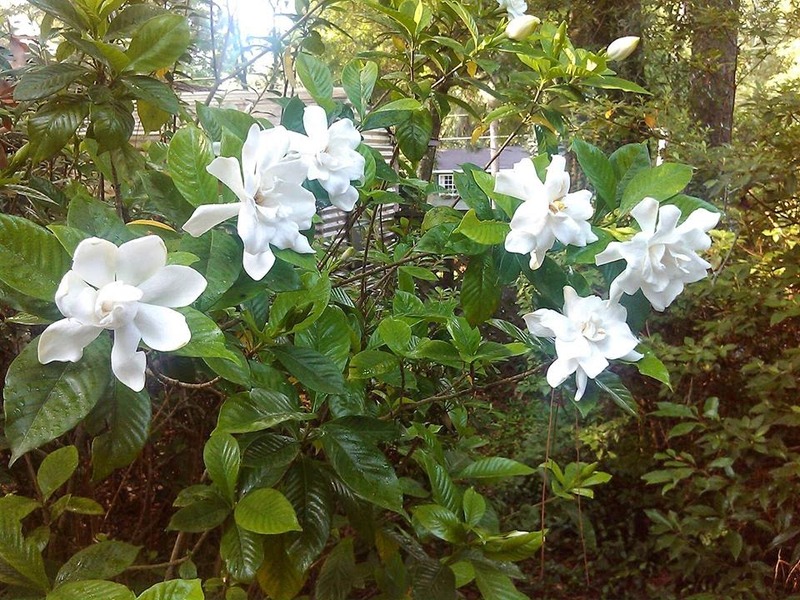 I hope you'll check my "old house" blog and follow my adventures, or at least, now that you've found my Fairhope blog, that you'll scroll through the five years of posts about everything from the meaning of art to the history of Fairhope. I hope I continue to do as well for Kingston. I've written two books about Fairhope, one focusing on the characters I knew as I was growing up (The Fair Hope of Heaven), and the other a novel about a young teacher in the 1920s who moves to the bohemian utopia that Fairhope once was, That Was Tomorrow. Both are available at Page & Palette in Fairhope, or online at amazon dot com. 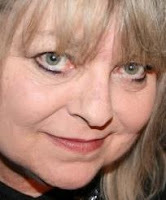 I'm thrilled that you found my blog and I hope you'll enjoy it along with my others. I returned to Fairhope Monday for a business trip. The business was to promote my books about Fairhope: That Was Tomorrow and The Fair Hope of Heaven. It is not as peaceful as it used to be, but then, neither am I. I crowded my schedule with book signings, book talks, and meetings with various people who are interested in what I have to say about Fairhope's history and the story of the Organic School.